Mark Plotz is Program Director of the National Center for Bicycling &Walking (NCBW), which became part of Project for Public Spaces in 2011. 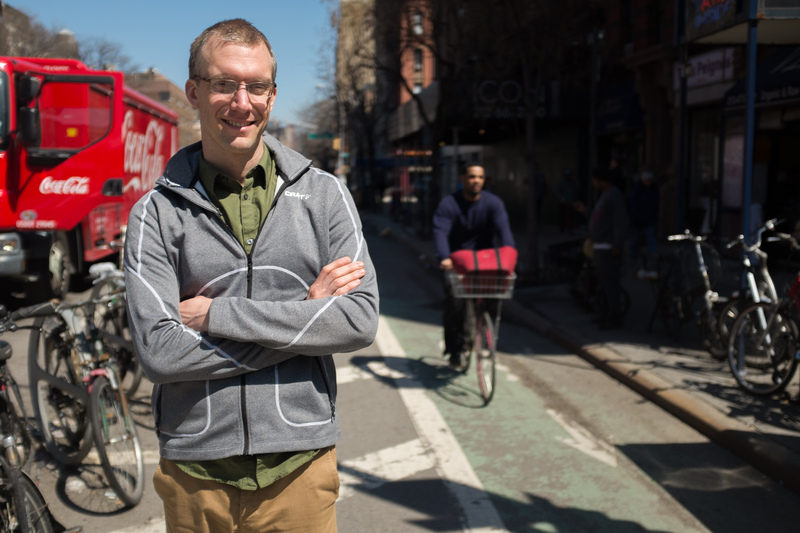 Mark beings nearly a decade of experience in bicycle and pedestrian planning and advocacy to PPS: he has extensive experience in Safe Routes to School and complete streets planning,much of it gained working in the car-dependent southeastern United States. Mark began his career as an apprentice to Charlie Gandy, Peter Lagerway, Dan Burden, Bill Wilkinson, and others for the Walkable Community Workshop program. These half-day community workshops bring neighborhood residents and youth into contact with planners, engineers, and public health practitioners to re-imagine their neighborhood as a bike-friendly, walkable place. The dozens of Walkable Community Workshops Mark has facilitated have won sidewalks,bike lanes, better crosswalks, and more inclusive transportation planning for communities in all parts of the county. Mark is Conference Director for the Pro Walk/Pro Bike® conference, the 17th of which will be held in Long Beach in September 2012. Pro Walk/Pro Bike® is the oldest and largest bicycle and pedestrian conference in North America, regularly drawing 800-1000 people to exchange ideas, best practices, and learn the latest research. The conference now also focuses on walking and bicycling's role in Placemaking. Prior to joining NCBW/PPS, Mark served two years in AmeriCorps, first in Minnesota and later in the southeastern United States. M.P.A., Minnesota State University, Mankato, MN. 2002. America Bikes Coalition, 2007 to present.